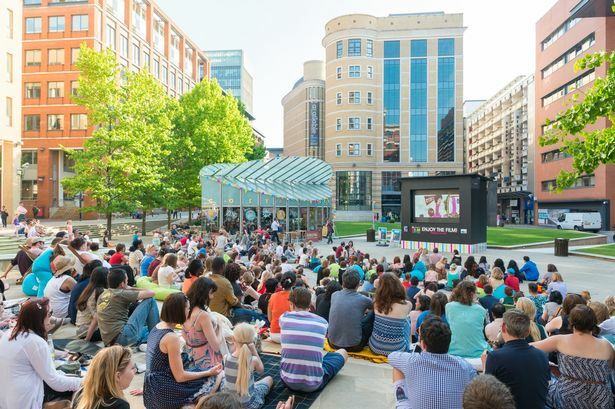 This year&apos;s line-up for the Brindleyplace Outdoor Film Festival has been revealed. Central Square off Broad Street will play host to nine films across seven days including headline movie Clueless starring Alicia Silverstone. The comedy, loosely based on Jane Austen&apos;s novel Emma, first hit cinemas in 1995 and won twice as many public votes as any other film to be featured in the 2015 festival. It will be shown on Friday, July 17 at 6pm alongside titles such as Frozen and Finding Nemo. Ben Ashby, marketing manager of Brindleyplace which this year marks its 20th anniversary, said: "I&apos;m pleased to say that our business tenants and the general public have made some great choices and, as a result, we&apos;ll be showing a real variety of films, from cult classics to latest releases and family favourites. "Whilst Clueless is sure to prove a hit with everyone that grew up in the 90s, I think Frozen might be the loudest screening." This year&apos;s Outdoor Film Festival is supported by Heart FM which will provide a limited number of deckchairs and beanbags on a first come, first served basis. There will also be free tasters from Primula Dips and take-away food will be available from a number of the restaurants based at Brindleyplace. The film festival is free, open to everyone and does not require prior registration. This year&apos;s Wimbledon finals will also be shown this weekend.